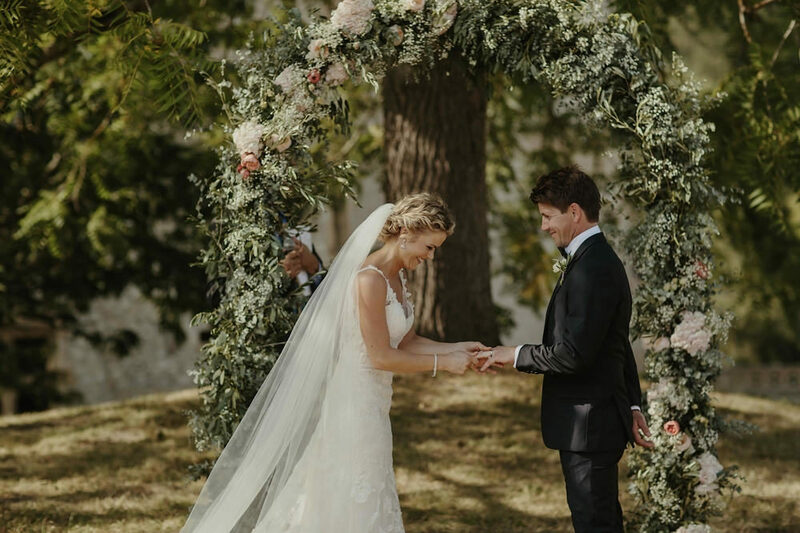 Amy and Adam’s wedding in the South of France is every girls fairytale dream come true. 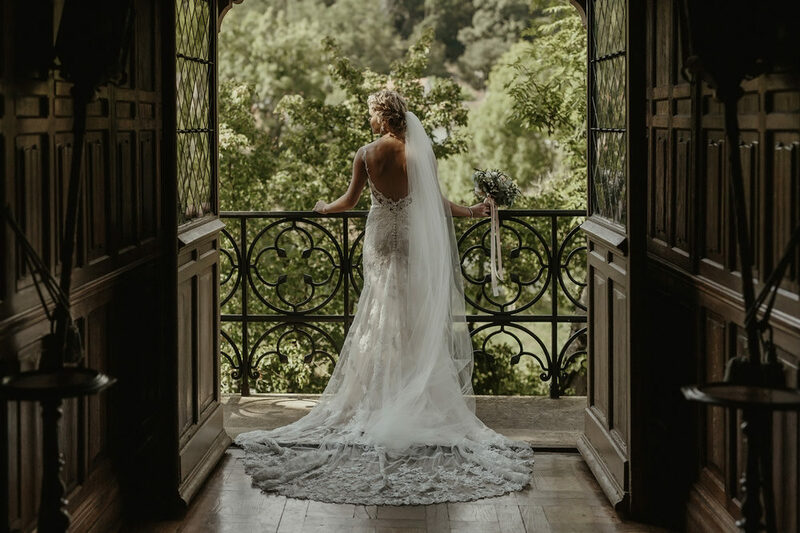 For starters it takes place at a castle by the river bank on the grounds of Château de Saint Martory which is just out of this world stunning. Plus she looks every bit the princess in an exquisite lace Stella York gown. Guests flew over from New Zealand to celebrate with them, and sentimental songs were played during the ceremony. As well as homemade cakes baked and beautiful stationery designed. It is the perfect mix of homespun and luxe and you’re going to love every bit of it captured by Danelle Bohane. Make sure you brace yourselves for all the off the chart adorable golden hour portraits too. That light is utterly immense. Amy the Bride: I wore a ‘Stella York’ dress purchased from Wedding Frox, Cranleigh, UK. My mum made a lace garter to wear, and the satin teddy and dressing gown I wore to get ready in. I wore one of my bridesmaid’s diamond drop earrings that she had worn on her wedding day, my Aunt’s diamond bracelet and my Grandmother’s engagement ring. My hair was done by my friend Emily Natoli and make up by my Mother’s close friend Sharyn Butters both who were also attending the wedding as guests. Cufflinks with his initials on them. 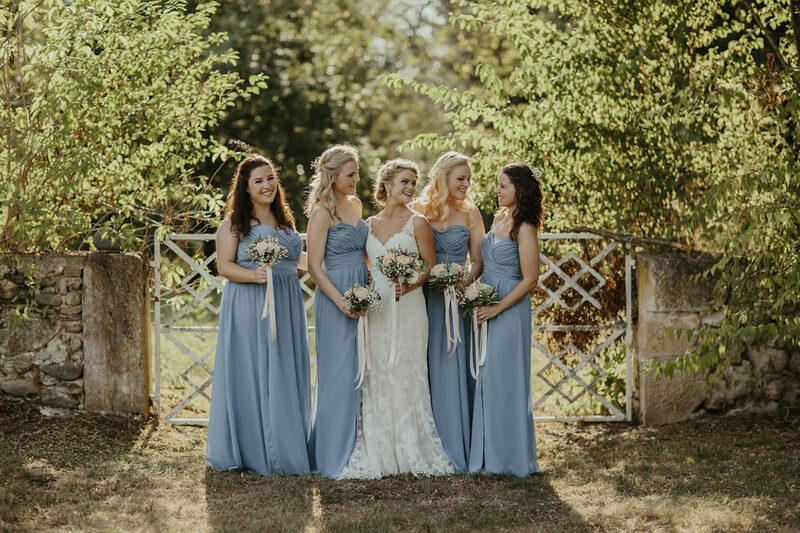 The bridesmaids wore a strapless Dessy dress in the colour Larkspur, and grey suede sandals from Zara. Their hair was half up, half down with loose romantic curl and fastened with a sprig of baby’s breath. They wore necklaces engraved with their initials and grey/blue pearl earrings that I had given them as a thank you. 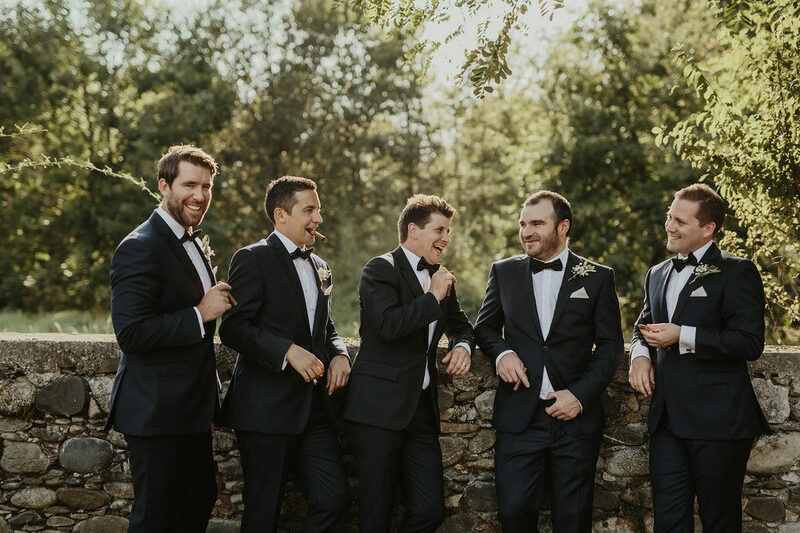 The Groomsmen wore black two-piece suits hired from Moss Bros in London, along with bow ties. 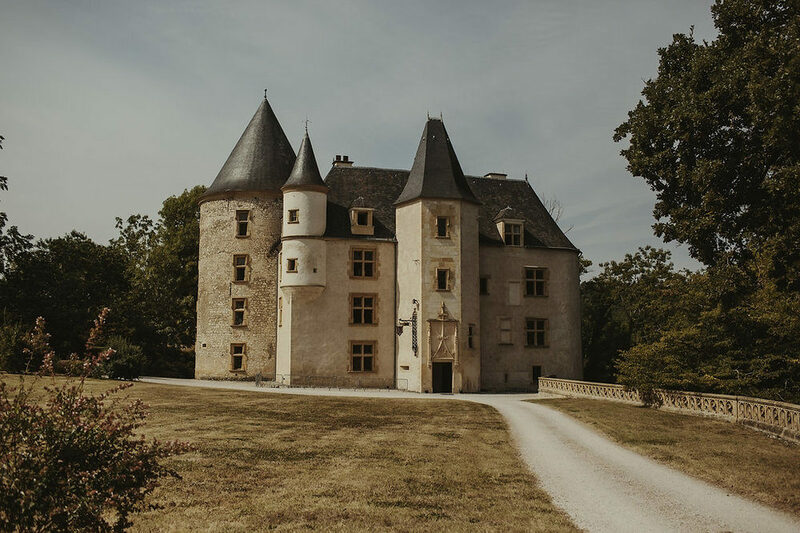 Chateau Saint-Martory, a beautiful fairy-tale castle resting on the Garonne River, in a very small village called Saint-Martory, 45 minutes South of Toulouse. We did a research trip to check out 4 potential venues just over a year before our wedding. We drove from Bordeaux to Toulouse with our wedding planner, Paola. We found Chateau St Martory online a week before we were leaving and it was the last venue on the list to check out. 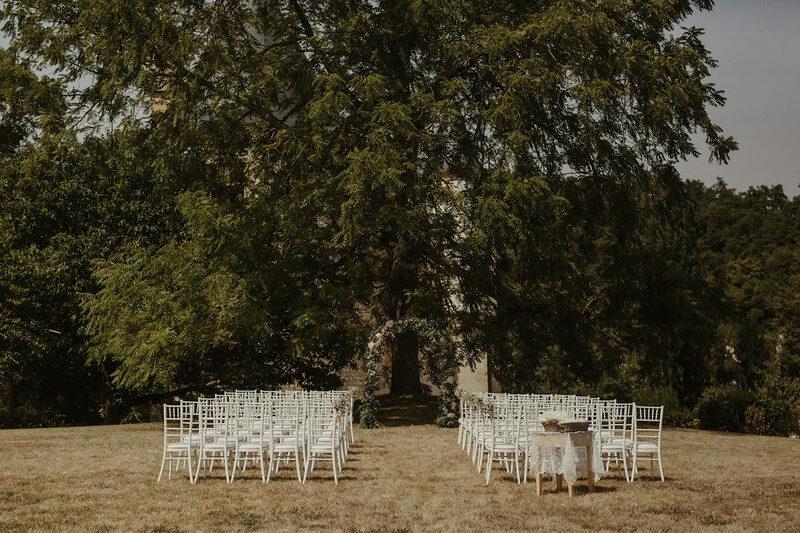 Once we saw the courtyard we were sold, it was exactly what we had pictured when we imagined getting married in France, pure rustic chic, but a blank canvas that allowed us to create our own special day. Soft Provençal colours of dusty blue/grey, with accents of peach and white, and lots of greenery. We sent a mood board of Pinterest images to Magali with the colour scheme and ideas on what styles we liked. We decided on lots of olive leaves with peach and white roses and baby’s breath. The idea was for more green foliage with a touch of colour. Amy, being a foodie, wanted some rosemary in her bouquet which smelled delicious and added a touch of blue in her bouquet with thistles. We were so impressed with Magali’s work – having not even met her, she created the most amazing floral masterpieces. We displayed extra bunches of flowers and foliage in small antique vases and glasses around the bar, photo booth and tables. Magali also created the most beautiful rustic floral arch for us to get married in front of, which we used again for our Photo booth setting. We also had bunches of baby’s breath on the chairs along the aisle. We had fun drinking 10 magnums of Prosecco so we could use the bottles as candle holders for the tables. These were combined with small tea light candles and a foliage table runner accented with a touch of colour from peach and white roses. 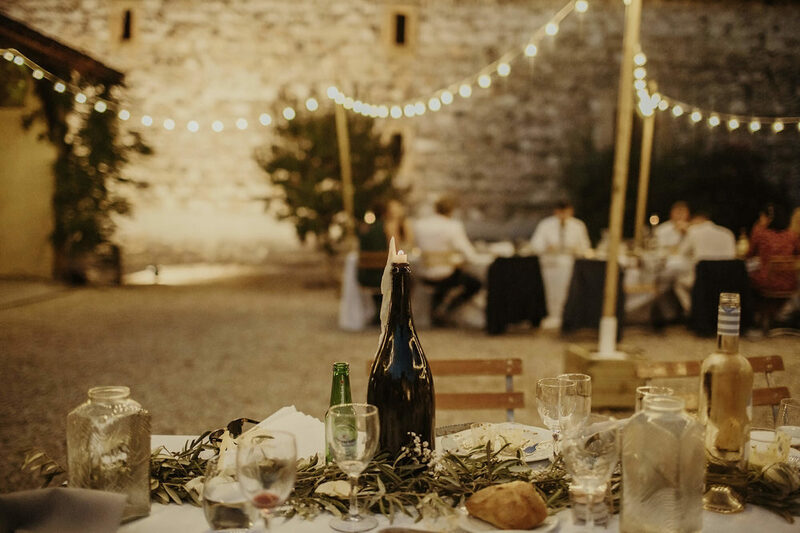 We wanted the rustic French courtyard to feel enchanted and magical so we had plenty of candles everywhere. We brought a ton of fake candles over with us from London which we had all over the dance floor. We also had festoon lighting over the tables which enhanced the magical setting and helped light the courtyard in the evening. We re-used the floral arch from the ceremony as the backdrop for the photo booth at one end of the courtyard and used a Polaroid camera to capture the fun. Amy’s little sister Becky put together the photo booth props which provided some entertainment in the booth. With the help of family and the bridal party we created about 100 white pompoms in varying sizes the day before to decorate the open barn in the courtyard for the dance floor. Our Grandparents also couldn’t make the event so we wanted to honour them and our parents by having pictures of their own wedding days on display in vintage frames. We had fun wandering the Chateau for items we could use for decorations the day before the wedding. We found an old picture frame to display the seating plan on an easel outside the courtyard and used another easel to display a welcome sign on a blackboard drawn by Emma, my twin sister and Maid of Honour. We also found a handmade green wheelbarrow that we filled with ice and used to hold bottles of beer and soft-drink throughout the reception. We purchased light grey napkins for the table settings and draped these over white tablecloths. To get officially in France you need to live in the country for at least 40 days prior to your wedding date, or get approval from the local Mayor. As we couldn’t do either of these we officially got married at the Chelsea Old Town Hall in London a couple of days before our big ceremony in France. It was an intimate occasion where we only had our immediate family present and were married by a Kiwi Celebrant which was awesome being two Kiwi’s ourselves in London. For our ceremony in France, we had Paul from Mallorca Celebrants marry us, who came highly recommended by Paola our Wedding Planner. Paul was really fun and professional and was a great help with creating our perfect ceremony and in particular knowing to get out of the shot for the photographer! Adams sister read “On your Wedding Day” which we thought was a short and light-hearted poem to start our ceremony with. We also had our Bridesmaid Georgina sing “Come Away with Me” by Norah Jones with our friend Nick playing the guitar whilst we were signing our certificate. We asked our Mother’s to sign our wedding certificate, which we thought it was a special way of including the Mum’s in our ceremony. We originally wanted a band to play at our wedding but due to budgets and our location there was not much on offer. Paola found us a local DJ who was fantastic, he covered the ceremony, aperitif, dinner and dancing afterwards. It was really beneficial having someone on hand for the whole day, covering the speeches and music. We had French café style music playing during the canapés which was perfect for our setting. Our first dance was to “For once in my life” by Stevie Wonder. We had a lot of fun listening to songs to work out which would suit us best. We wanted a classic song with a good beat – and not too long! Amy walked down the aisle to “She” by Elvis Costello. This song was really important to her and her family as it was the song her late Grandfather had sung to her Grandmother at their 50th Wedding Anniversary. We walked back down the aisle after the ceremony to “Love” by Nat King Cole. Another great classic! We were really excited to choose the food for our wedding – I am a real foodie! 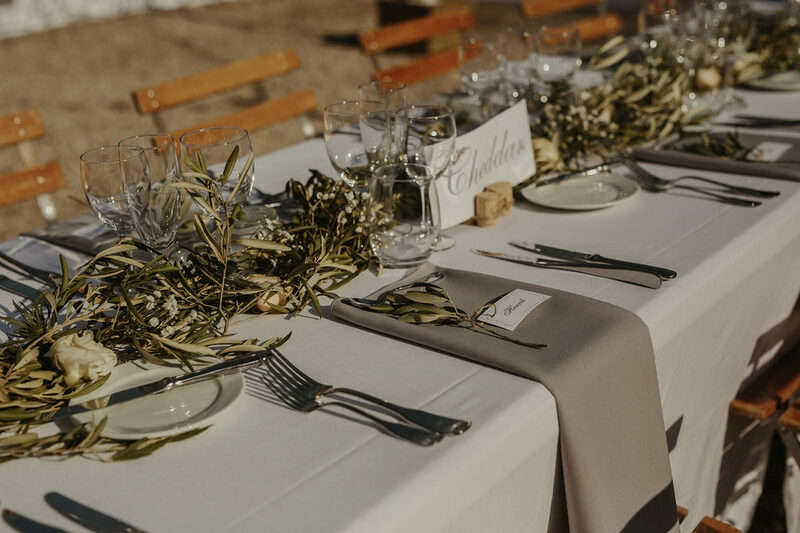 We wanted a bit more flexibility with choosing our menus so chose not to go with a local catering company and went with a private chef that was recommended to us by the owner of the Chateau. We were putting on three events in total, for the Friday and Sunday we wanted an informal help-yourself style of food. For Friday we had a charcuterie and cheese platters, and Sunday a range of salads and meats both of which were served around the pool in a relaxed setting. For our Wedding menu we had a range of canapés that were French classics from the Haute Garonne region like fois gras. We had a smoked salmon, prawn cocktail/salad for starters, followed by steak and French fries with béarnaise sauce (a classic French dish and also a Tait family favourite). We had custard squares / millefuille for dessert which is a favourite of Adams. We ended up having two cakes, we both love cheese and as we were getting married in France we though it perfect to have a Wedding cake of cheese! Jean-Pierre ended up getting a local supplier to make this and it turned out to be a much larger selection of cheeses on a three their stand rather than the three tier/cheese cake we had in mind. It was so beautifully presented but we were lucky that my little sister Becky had also made us a wedding cake so we actually had one to cut through on the day. Becky put so much effort into making the cakes – she made them in England, froze them and brought them over on the plane, then defrosted and iced them in France. The cakes had a lavender and lemon tier and a rosemary and lemon tier, and Becky beautifully decorated it. The cake was so popular there was none leftover! In keeping with the French theme we also had a crepe stand after dessert where our guests could enjoy a selection of sweet crepes as an after dinner snack. We also have a particular fondness for popcorn so we hired a vintage popcorn machine which was a great hit on the night and especially the day after the wedding! As wedding favours we wanted to give our guests something they could eat then and there. In keeping with the French theme, we chose peach and dusty blue macaroons which were left on each person’s place setting wrapped in a clear plastic box and tied with twine. Photography was most important to us. You have your photographs for a lifetime so we wanted someone who could truly capture the magic and emotions of the day. We found it hard to pin down someone in France or the UK and when we came across a fellow New Zealander Danelle Bohane we both knew that no one else would compare. Her style of photography was more fine art than traditional wedding photographers and we were able to negotiate a bespoke package with her to get her over from New York. She was excited to do a Kiwi wedding in France and we immediately felt at ease with her. Danelle and Dirk didn’t just document our special day, they captured the magic, laughter and love. Initially we were a little unsure about a videographer for our wedding in France, and found it quite difficult to find one with a style that we particularly liked. However, once we saw Matthia’s work we thought he was the best person to capture our wedding. Matthia’s blended easily into the background, filming the Friday night, Wedding day and day after the Wedding so we got an overview of the whole Wedding weekend with our film. We were so impressed with Matthia’s work, nothing was too much trouble and he really manage to capture what a truly magical weekend it was. We would highly recommend getting a videographer, for us it was important to capture the whole weekend and it’s something we have watched plenty of times since, and shared with family and friends that could not make it to France. My twin sister Emma was the creative genius behind our wedding stationery. She worked with us to design our save the dates, invitations, table names, seating plan and wedding motif. We used the A’s motif on all the stationery and had a bespoke wax seal made to seal our invitations. We chose table names of French cheeses which seemed fitting due to the country we were in and our fondness for it. 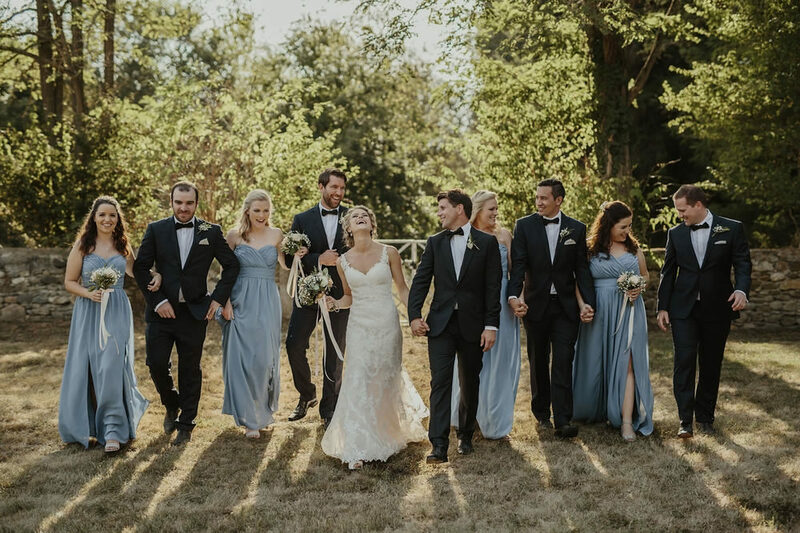 Chateau Saint-Martory was able to accommodate both of our immediate families, bridal party and partners. It was so special having everyone stay on the property for the whole weekend. The actual village of Saint-Martory is really small so we recommended a cute hotel about a 25 minute drive from the Chateau. The majority of our friends stayed at this hotel and others found local Airbnb’s and bed and breakfasts in villages nearby. We provided bus transport to and from the hotel, and as there wasn’t a local taxi company, other guests caught private taxi’s arranged by their accommodation. 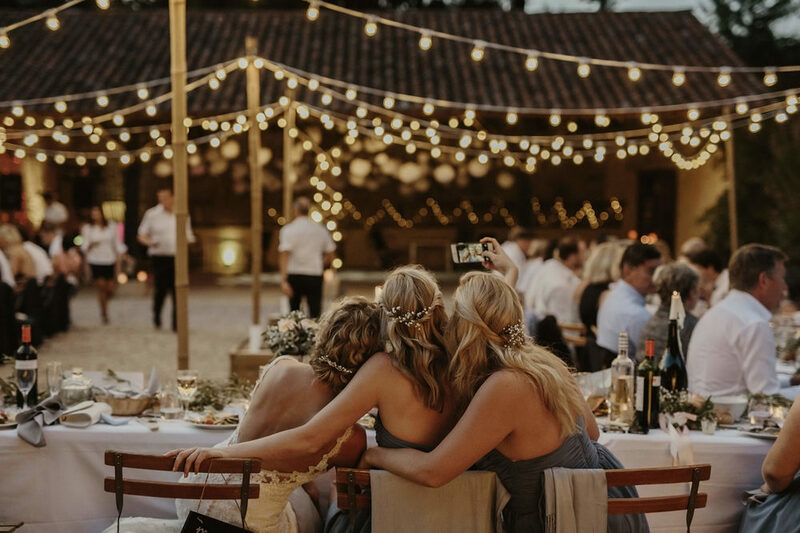 We wanted a wedding planner that we would get along with, that would understand our needs and wants and help us with the language barrier that comes along with two Kiwi’s getting married in the South of France. Paola and her team did just that and more. We met Paola through my twin sister Emma, so knew we would get along well. 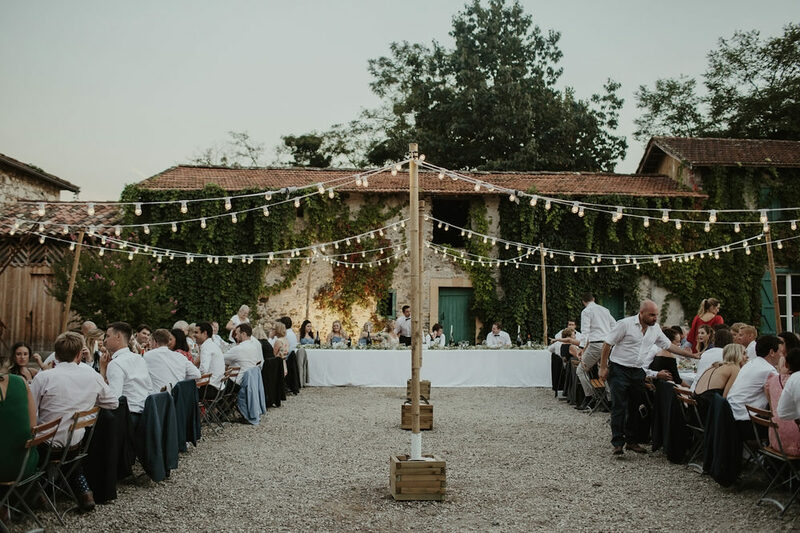 There were certainly some challenges with getting married in a small village in France, but Paola was brilliant with dealing with the suppliers and together we pulled off three fantastic events over our wedding weekend. We would highly recommend a wedding planner either to help with all aspects of the event or just to co-ordinate the actual wedding day. It takes the stress out of worrying about things on the day and lets you just enjoy every minute. What a stunning setting! Lovely photos.